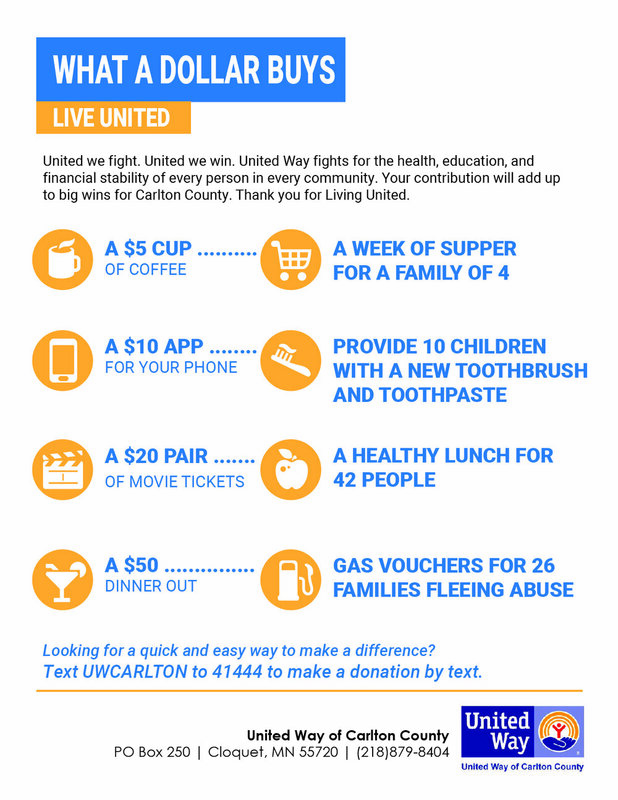 United Way fights for the health, education and financial stability of every person in every community. We win by living united. By finding new solutions to old problems. by mobilizing the best resources. and by inspiring individuals to join the fight against their community's most daunting social crisis. Here in Carlton and Pine Counties, we are raising our hands to make life better for everyone. The work of the United Way and our Partner Agencies can be seen in every hour of every day.